What if I received a ring and the size doesn’t fit? We offer complimentary resizing for once. Customers are required to contact us and arrange for returning within 14days (upon receiving any articles). Feel free to contact us for enquiries or advices. What models’ sizes can be custom-made? Solitaire models can be custom-made into any sizes (US Size5 – 8), feel free to contact us for enquiries or advices. 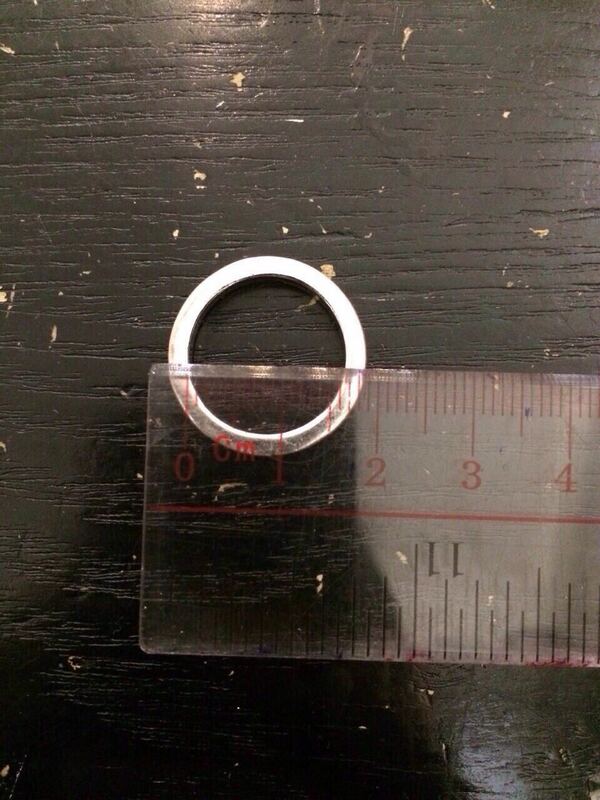 Measure the inner diameter of a ring that fits you. If you’re not sure feel free to send us a photo as follows for size confirmation. If you don’t have a wearable ring, avoid using string, paper or any materials that can twist or stretch, thus may yield an inaccurate measurement. Can I send you a photo to custom-build my own jewellery? For custom-building, we currently only accept real diamonds. Depending on the 4Cs, GIA certified diamonds’ prices can range from US$600 to US$4000. Please provide information such as your budget, ex, grade, carat, etc. for price quotation. All items will be delivered by Registered Air Mail to oversea destinations in 10 to 15 working days. Track-and-trace is available. What materials are used in the accessories? Each and every one of our products are 925 Sterling silver platinum-electroplated, and with top quality diamond simulants. A 10 hearts and 10 arrows pattern can be observed via magnifying apparatuses. I have metal allergy, can I still wear your accessories? Our products are not only 925 Sterling silver platinum-electroplated, they are also hypoallergenic. What’s the difference between your products and crystals or CZ Stones? Our products are top quality diamond simulants and real diamond cutting technologies are used. Normal CZ stones or crystals may fog up and are not expertly cut with 10 hearts and 10 arrows pattern, resulting in their uneven quality. What if I cannot receive my parcels? How do i maintain my accessories? 1. Wear them daily, as human lipids allow accessories to emit natural sparkles. 2. Avoid wearing excessive accessories all at the same time, to prevent scratches or deformities. 3. Keep the accessories dry and avoid approaching hot springs. Gently clean with flannelettes or tissues. Store in sealed pouches or boxes to avoid contact with air. Is a certain item in stock? Most items available for ordering on the website will be in stock, and can normally be delivered in 10-15 working days. (Except custom-made models and sizes). Is there any maintenance service? A complimentary-5-year maintenance period is provided, our customers are only responsible for any shipping fees incurred during the process of returning. Maintenance services include repairing any loss stones and cleaning. Please note that our maintenance service do not include scratches inflicted by individual wearing habits.